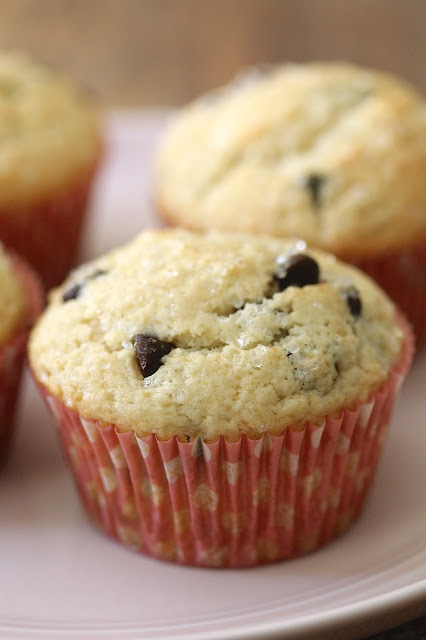 These chocolate chip muffins are so easy to make, and the resulting crumb is so moist and tender. I know that sounds cliche, but I'm serious! 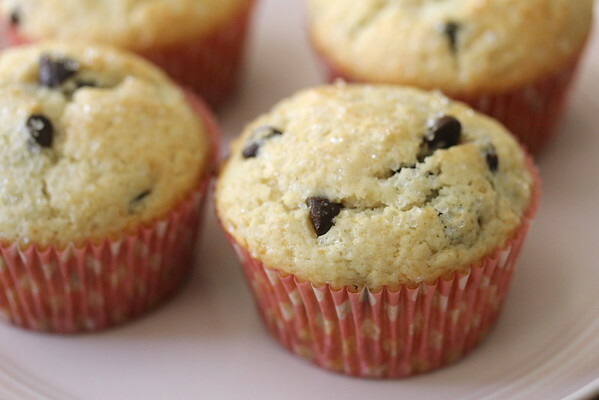 This may be my new favorite muffin, with or without the chocolate chips. These can be mixed and baked in about an hour, making them the perfect "I feel like something freshly baked" treat, or for baking with kids (or adults with a short attention span). The only way you can mess them up is to use expired baking powder or to over mix them. "Why?" you ask. Too much mixing will over develop the gluten and toughen the dough. This is a good thing with bread... not so much with a tender quick bread. You can customize the recipe by eliminating the chocolate chips and vanilla, and adding your favorite ingredients such as berries, dried fruits, and spices. These muffins are easy to make ahead. Just wrap them individually and freeze them after they have cooled. When you are ready to serve them, remove them from the freezer and bring them to room temperature while still wrapped. If you want melty chocolate chips, give them a 20 second turn in the microwave. After the recipe, check out what the rest of the #MuffinMonday bakers created this month. Preheat the oven to 375 degrees F and line a 12 cavity muffin tin with paper liners. In a large bowl, add the melted butter. Whisk in the egg, the milk, and the vanilla. Whisk 1/3 of the flour mixture into the wet ingredients until full incorporated. Whisk in the second third of the flour mixture. Fold the final third of the flour ingredients with a rubber spatula. Scoop the batter into the muffin pan, evenly distributing it among the 12 cavities. Sprinkle the top of each unbaked muffin with the sparkling sugar. 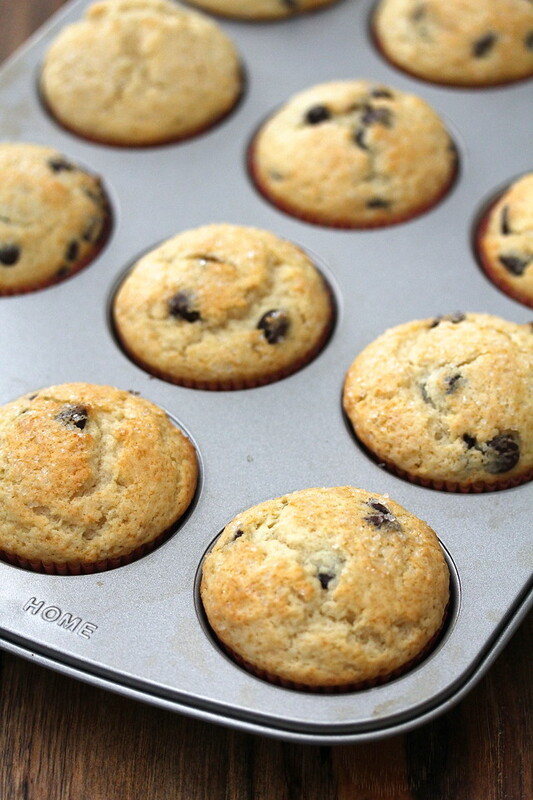 Bake on the center rack for 18 to 20 minutes, until a toothpick inserted into the center of a muffin comes out clean. Do not over bake. Cool completely in the muffin tin on a rack. That is my favorite part about muffins, so simple to make, yet so satisfying to eat! Those look wonderful, Karen, especially the golden edges and the shiny sugar on top! Thanks Stacy for this great monthly bake. I've never thought of freezing muffins! That would make for even an easier morning. It's one of my favorite part about making muffins Lauren! oh, well... gotta keep the kids under control, right? I love Nick Malgieri, I have another one of his books and find his recipes to be fantastic. Plus, it it's bread related, you're my go-to blogger:) Love these. Please send over a batch - I'd like them for breakfast tomorrow morning with my coffee. I love him too. So reliable. I need to get his bread book. Can you believe I don't have it? What is wrong with me? Lol. The muffins are on their way! That's one of my favorite things about muffins--I can not have a clue what I want to feed the kids, and less than an hour later hot muffins have been devoured. 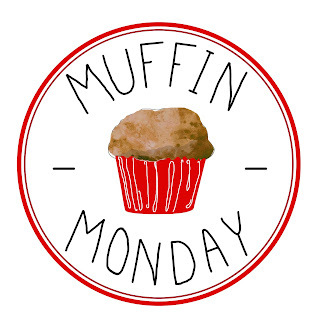 Doesn't matter if it's breakfast, after school snack, or something to accompany reheated soup--muffins are my go to. These look terrific and I'm all over the chocolate chips! Thanks Kirsten! Totally the beauty of muffins!